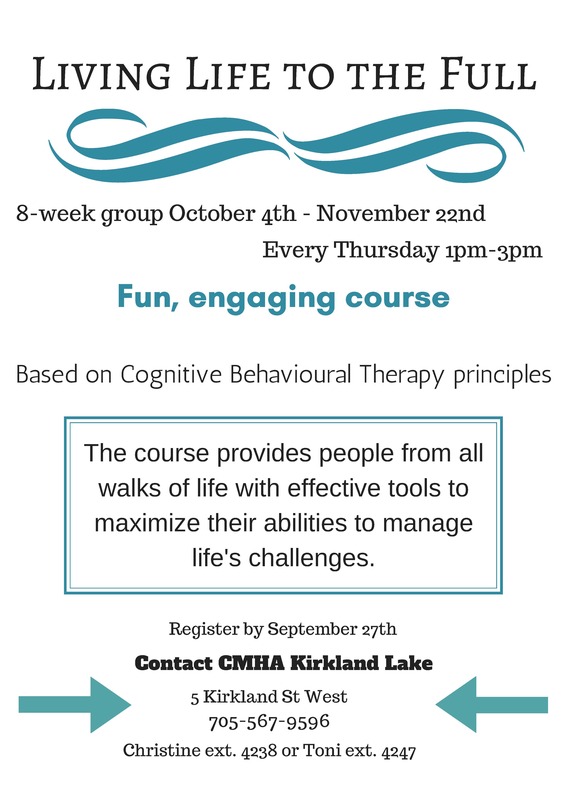 Join this fun and engaging 8 week course in Kirkland Lake! Starts October 4th and runs every Thursday until November 22nd from 1 p.m. to 3 p.m.
Register by September 27th by contacting Christine (ext. 4238) or Toni (4247) at 705-567-9596. View the group flyer here!